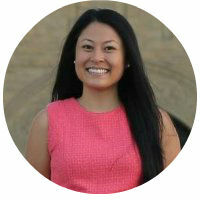 Guest blogger Jessica Pham: "I stood up for myself"
Jessica Pham is a Master’s degree candidate at the Johns Hopkins University School of Advanced International Studies (SAIS) in Washington, DC. Throughout and after college, she completed over ten internship and job positions, both paid and unpaid, and will finally leave the student world for the working world in fall 2016. This is one of her internship negotiating experiences. "This internship is paid. So that’s great. Would $15/hour work for you?" This question took me by surprise. I was on the phone with the recruiter for the very first time, and this was only the third question of the interview. He did not ask any soft opening questions to get information on my background or to gauge my interest in the company. I felt caught off guard, uncomfortable, and unconfident. Talking about logistics felt fine, but talking about pay (and how much I was worth) did not feel fine. I eventually responded weakly with “that’s okay.” But in my gut, it was not okay. Why did I feel so uncomfortable in that moment? In hindsight, I can pinpoint a few things. I assumed pay negotiations would take place at the end of the interview process rather than at the beginning. I thought it was something done on paper rather than on the phone, since that was how it occurred in my past jobs and internship. I thought the recruiter and supervisor would evaluate my skills and background before talking money. What I learned from this experience was to be prepared to discuss pay at any point during the interview process. Prior to this internship, I’d completed a position that paid well and had wonderful benefits, including a housing stipend, free meals, and flexible scheduling. I was targeting at least the same pay and benefits in this role as in my previous one and was planning to walk away from anything less. When the recruiter offered me something much lower than I had in mind right off the bat, I was thrown off guard. I wasn’t sure with whom to discuss pay – the recruiter or the supervisor. I ultimately brought up the issue with the supervisor because I thought he would value my work experience and skills more than the recruiter, making it easier for me to ask for higher pay. I worried that if I had negotiated with the recruiter I might not have moved on in the process. I did not get the position after a third and final interview, but I still consider the process a personal success story. Why? I stood up for myself and negotiated for the pay I deserved. It was important to me to ask for more and not settle for the first offer. It took a lot of courage to ask the supervisor for the pay I wanted. Though this particular internship did not work out, the process has prepared me for future inevitable salary negotiations that will come up after graduation. I am now more confident about defending my bottom line and advocating for myself and my achievements.